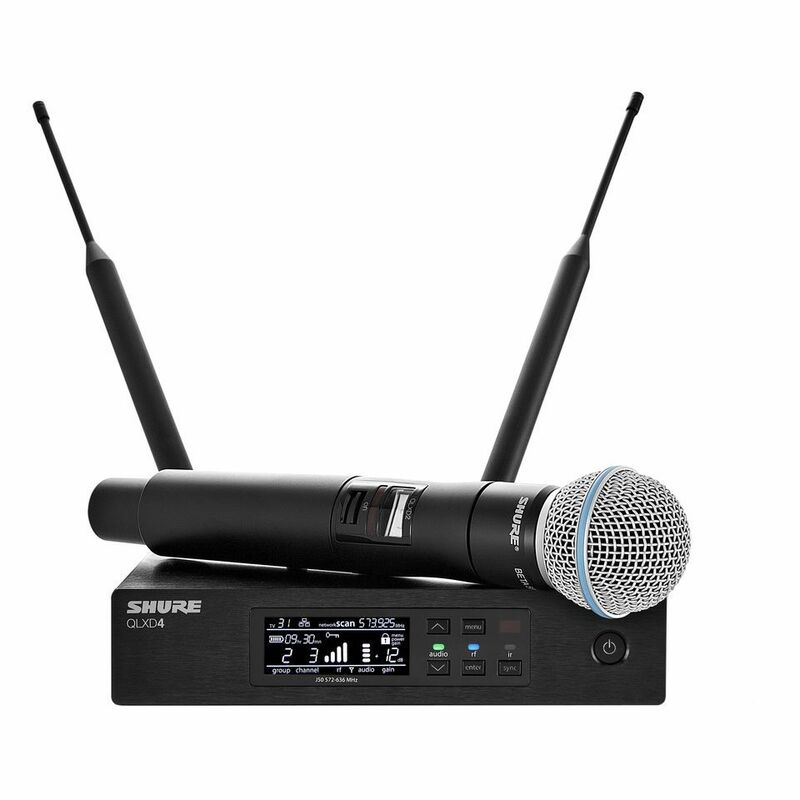 The SHURE QLXD24E Handheld Wireless Microphone System featuring a BETA 58A handheld wireless microphone transmitter. The System combines professional features with simplified setup and operation. The Digital Wireless Receiver QLXD4 is part of the System which quickly finds open frequencies and deploys them to transmitters via the one-touch sync function.